Most reader questions are answered in our handy, online Feed Zone How To/FAQ. If your question isn’t answered, please get in touch! You can also request a media review copy, sample recipes, or author interviews and events. Please remember that the recipes in The Feed Zone Cookbook and Feed Zone Portables are copyrighted. We are happy to release a few recipes for republication to media, bloggers, bike shops, running clubs, and email newsletters, but we ask that you contact VeloPress to make your request. We promise we’ll make it easier, better, and more valuable for your readers. 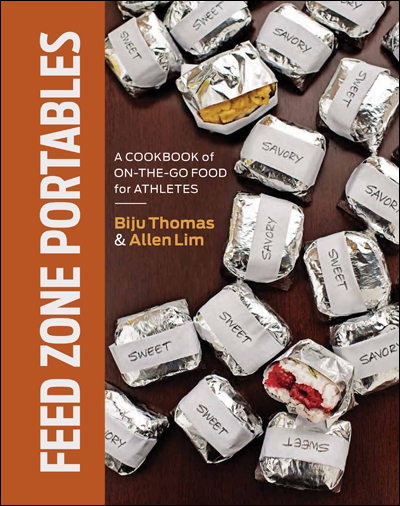 VeloPress is happy to wholesale The Feed Zone Cookbook and Feed Zone Portables for resale by distributors, retailers, coaches, and charitable organizations. We are also happy to offer pricing on bulk orders for corporations, sports federations, clubs, or for international orders. For more information, please visit velopress.com/retailers or email VeloPress at kmannix@velopress.com.